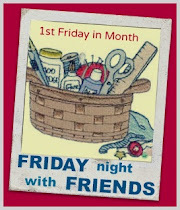 The Friday Night Sew-In is a virtual get together temporarily being hosted by myself on behalf of Heidi and her cousin Bobbi (aka Crafty Vegas Mom). I’ll schedule the FNSI on the 3rd Friday of each month and post sign-ups at the beginning of the third week. Here are the participation guidelines. 1. When the sign-ups are posted – add your name to the list with a link to your blog. 2. Make a post on your blog – letting all your readers know about the sew-in. 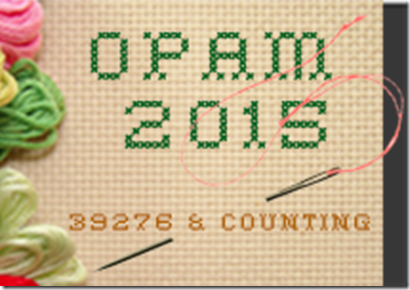 Spread the word.. (grab the button from my sidebar) …we could all use the virtual sewing support and encouragement. 3. On the night of the FNSI – Get your house settled, put on your comfy jammies.. maybe make a cup of tea or pour a glass of wine, make sure there’s plenty of chocolate in the house, some grooving music happening, and sit down to work on some of those projects. 4. Then, sometime on Saturday – publish a post about what you worked on.. show us a picture or two on Flickr. There is a FNSI group on Flickr if you haven’t already joined. Totally optional. The name of the Flickr group is FNSI. Each month there will be a giveaway – something awesome to one lucky participant. I was the FNSI foster mumma for Heidi and Bobbi, but adoption has taken place! I’ll always acknowledge and thank them both for bringing FNSI into the world and I’ll endeavour to keep her growing big and strong!